Removing my tattoo was a difficult decision for me, I still like it and I still love tattoos- I have many of them! However, it was time in my life for a career change, and more conservative attire was required. Whilst I can get away with some visible tattoos, this one was a bit more of a statement as it was on my face and hard to miss! I was getting tired of getting up an hour earlier just to cover up this particular tattoo with thick make-up, and even then I was always worried it was not covered properly. That’s when I looked into removal. I was a bit concerned as it’s a very visible area and also sensitive- was it going to be painful? Or leave scars? 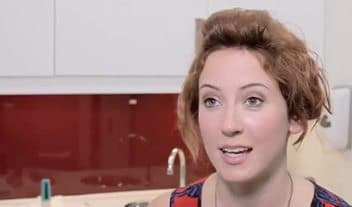 When I went for my first treatment at Juvea Aesthetics, I felt confident I was in good hands as they are based in Harley Street which has a reputation for being the best of the best. 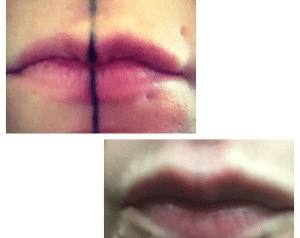 The practitioners were very understanding and professional, they even told me that there was a chance I would be able to remove the tattoo from my lip area, which some other places had told me would not be possible. 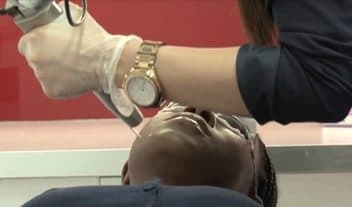 My treatments started off gently and the girls fully explained the whole process from start to finish, that the RevLite laser works by penetrating the skin, breaking up the ink particles which your body’s own immune system sees as a foreign object and flushes out over time through the lymphatic system. The sessions were always done in a relaxed and friendly way, at a pace to suit me which was nice as at times it could be a bit painful. 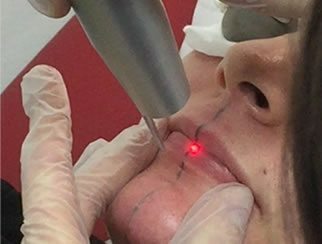 I used the numbing cream beforehand as advised and it made the treatments a lot easier to handle- the good thing is it’s also very quick!